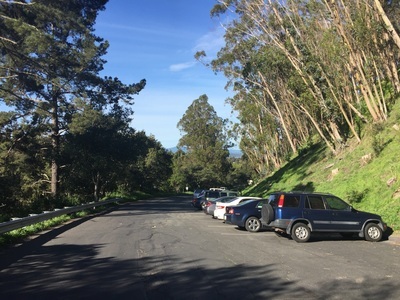 Parking: Free parking lot at the Park Ave address. 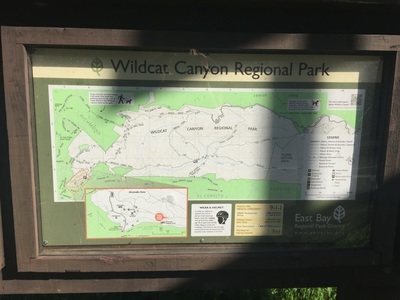 (Drive past the first Wildcat Canyon sign on McBryde Ave and you will see another sign for the staging area in about a quarter of a mile. 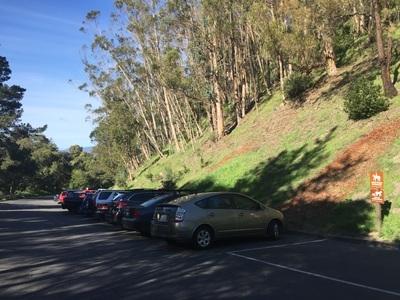 Drive in and there is a large parking lot.) Free street parking on Bonita Ct (please be respectful of residents). Regulations: Dogs allowed off-leash in undeveloped areas if under voice control. 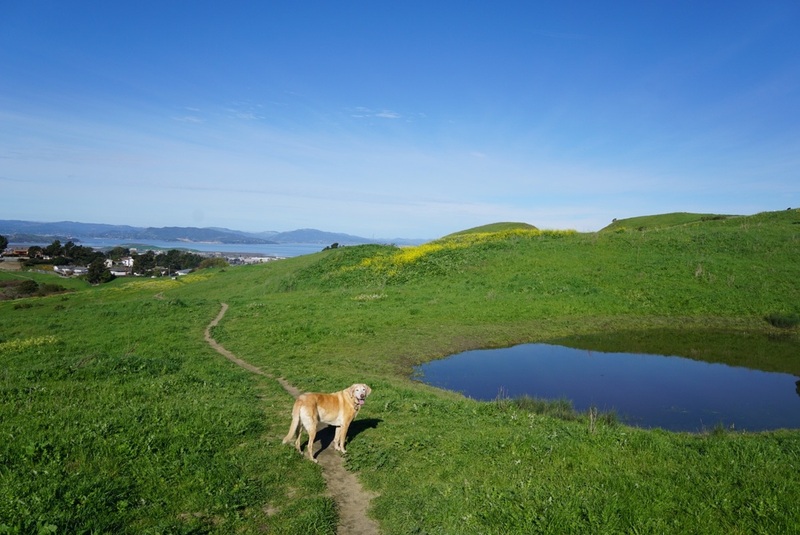 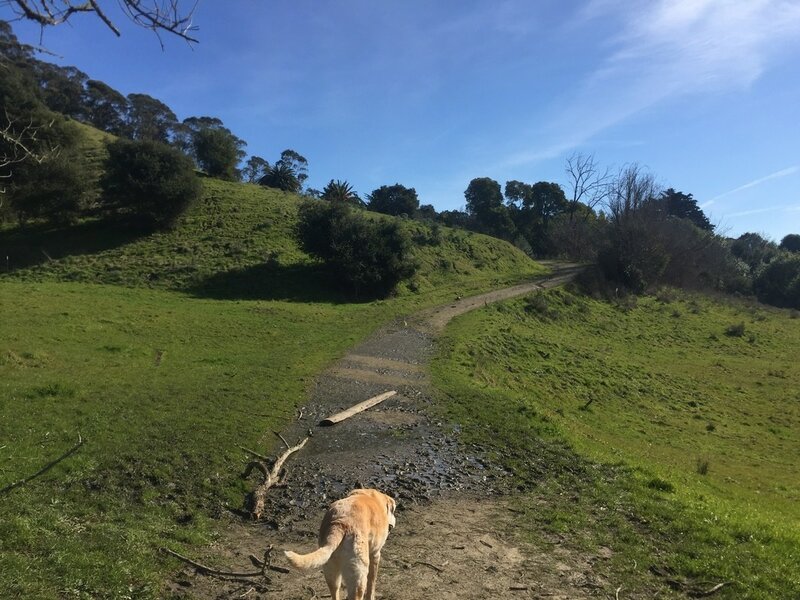 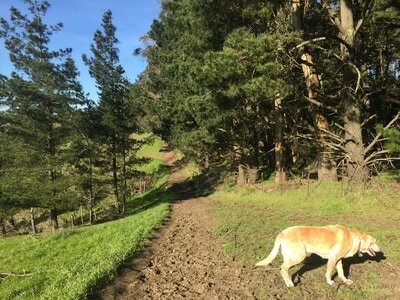 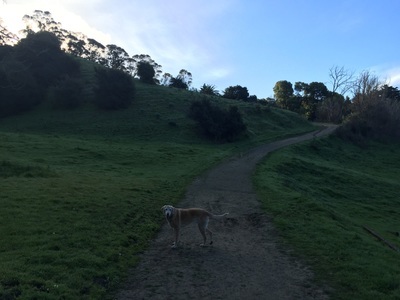 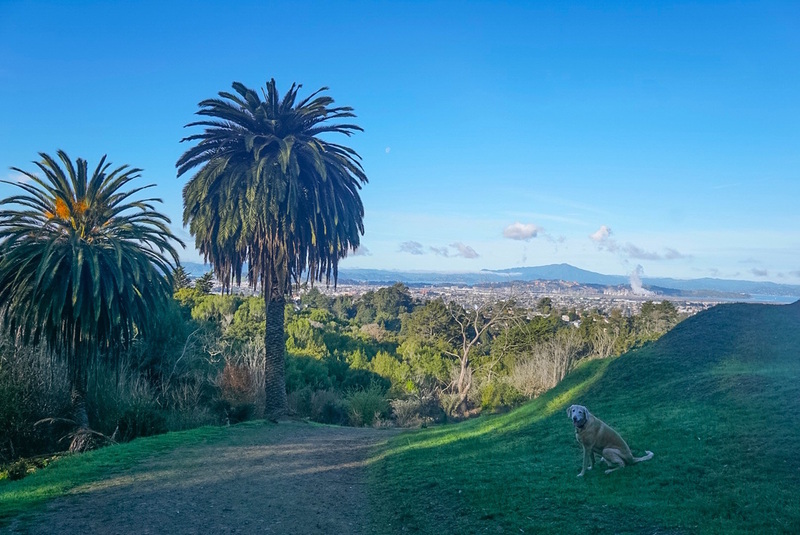 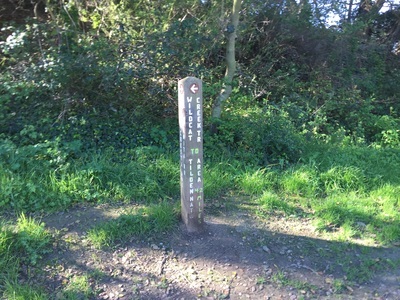 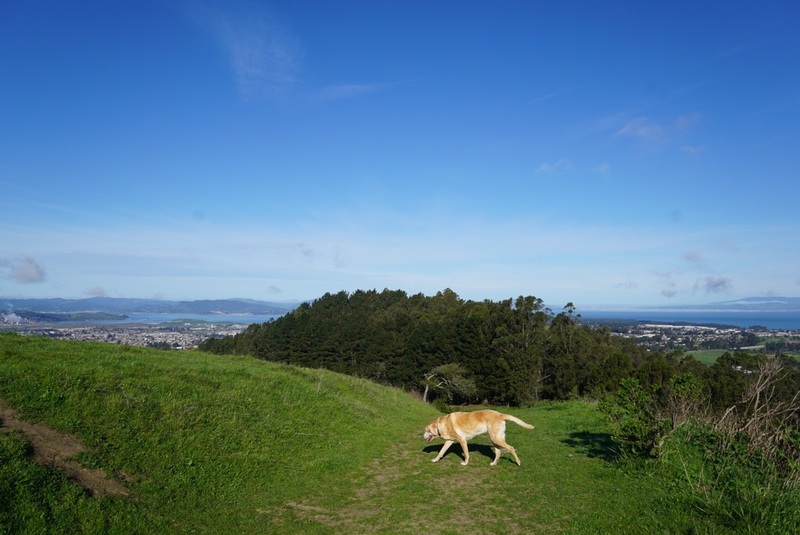 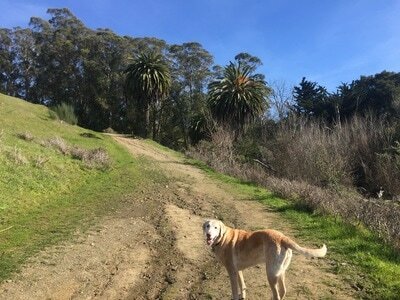 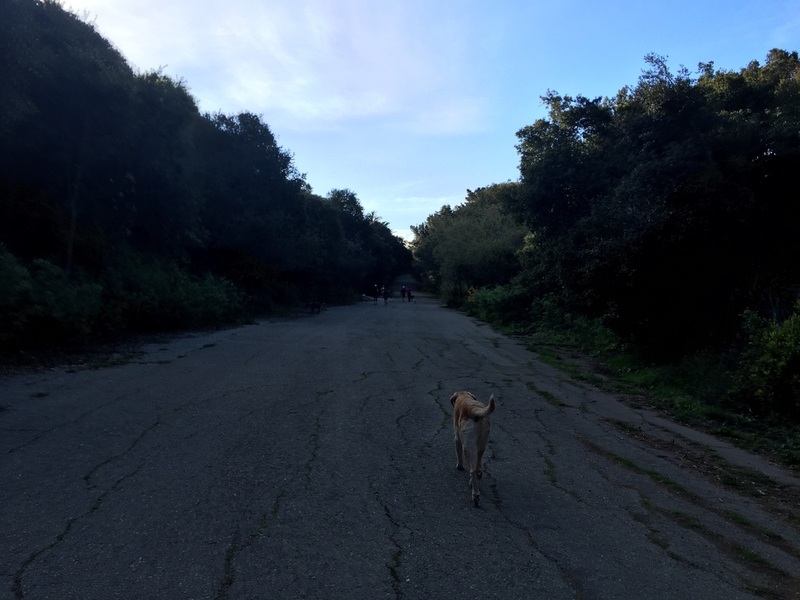 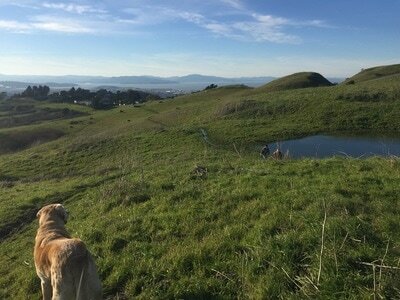 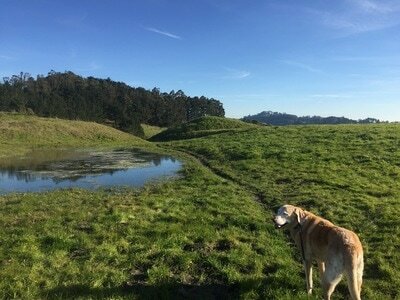 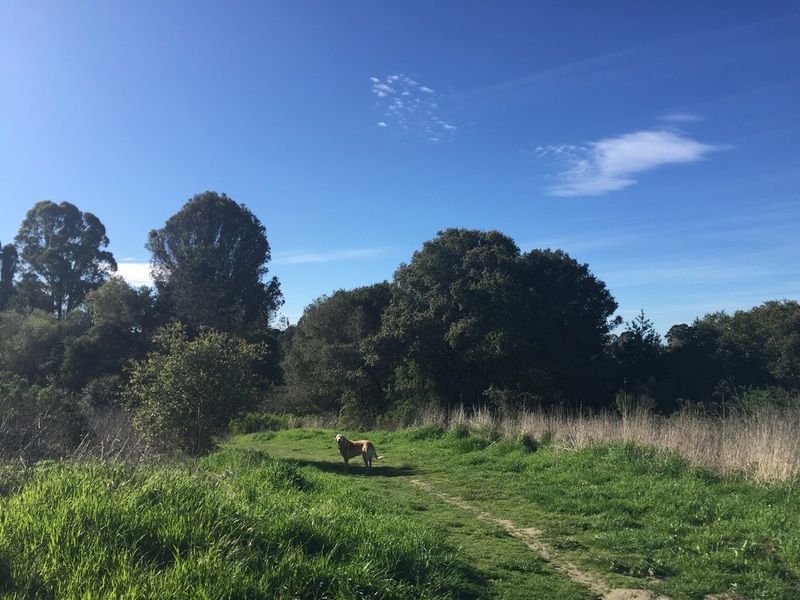 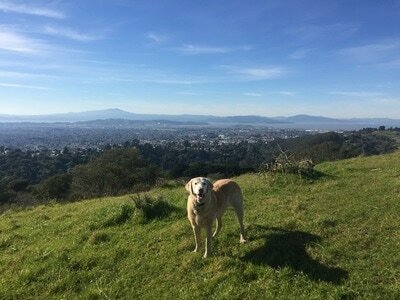 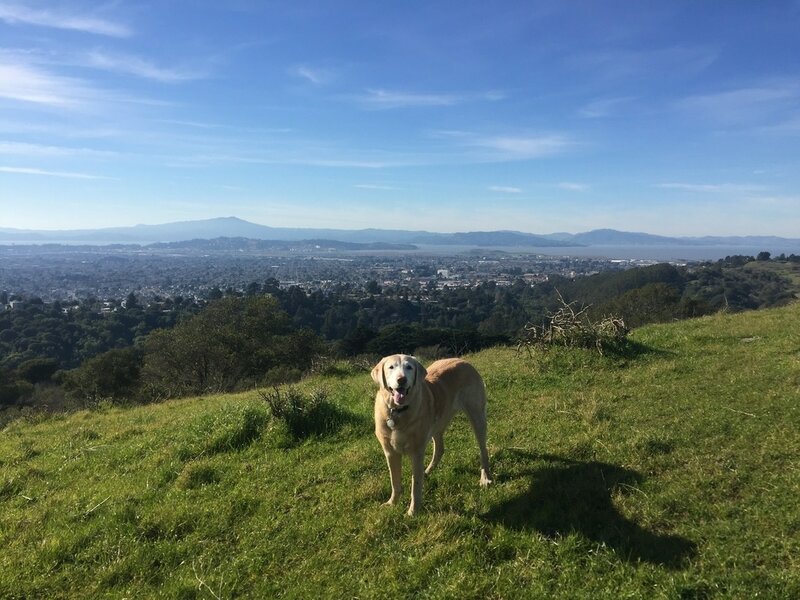 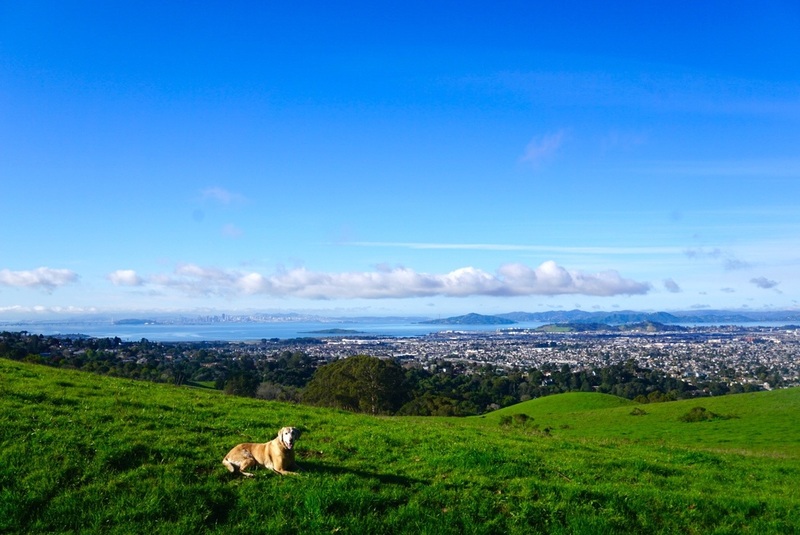 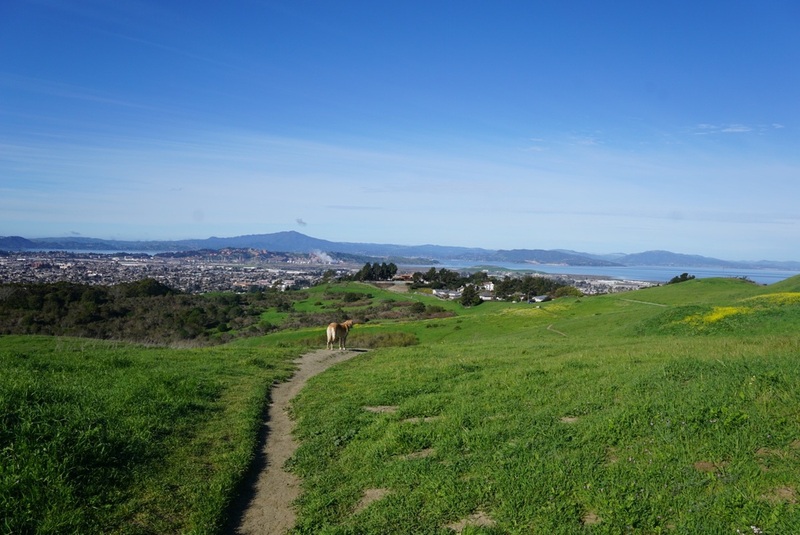 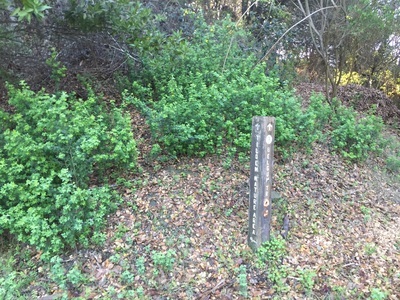 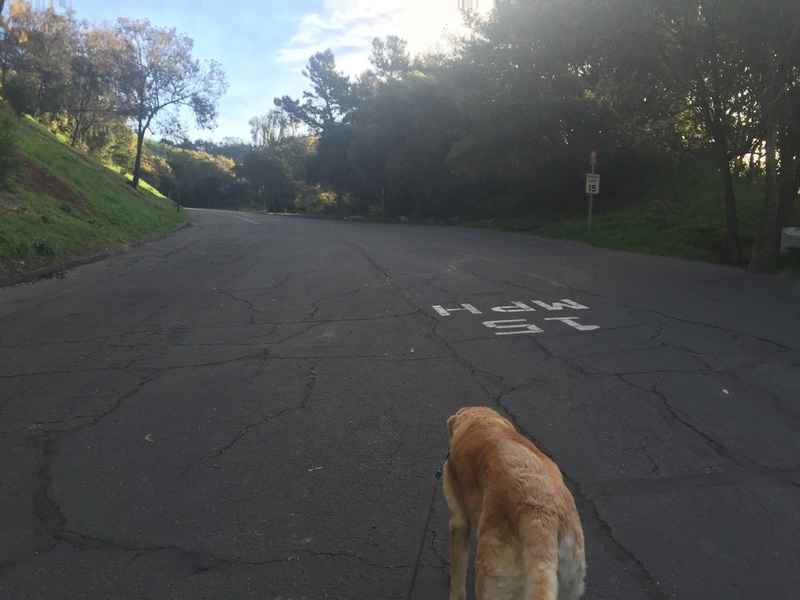 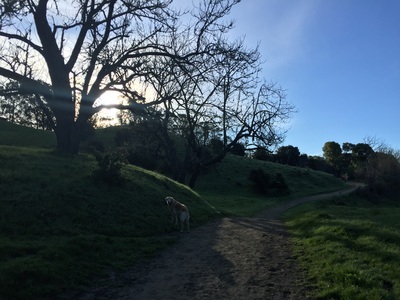 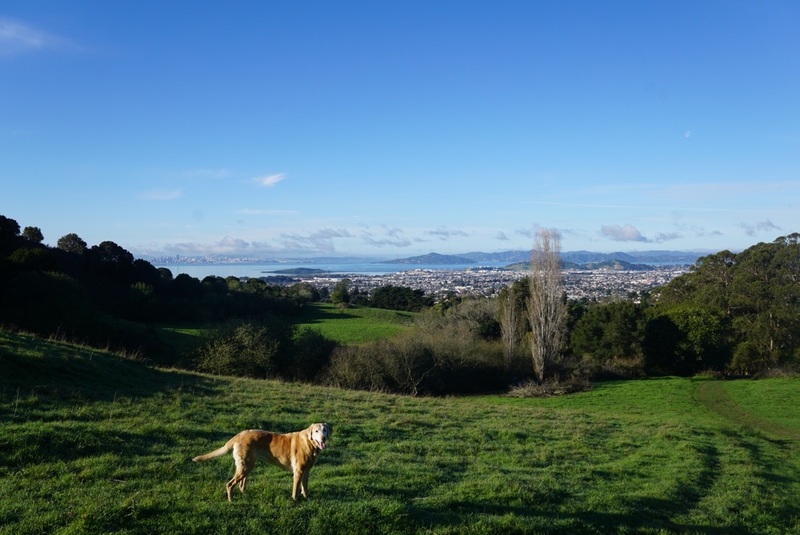 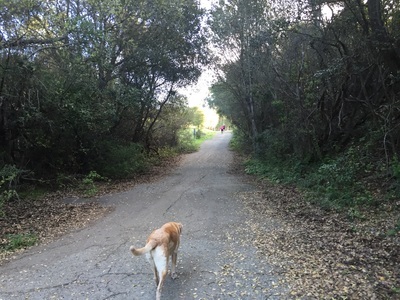 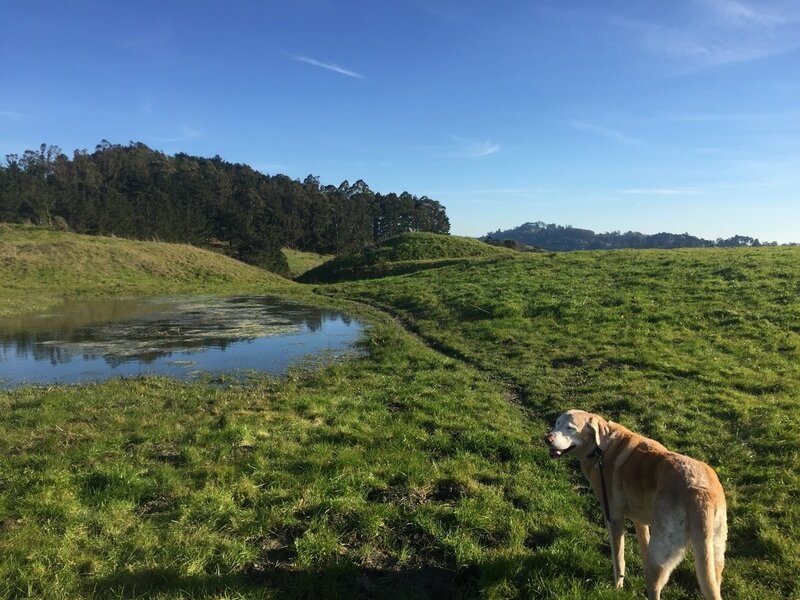 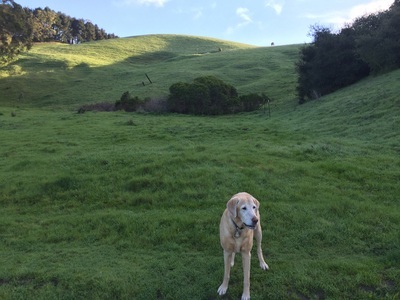 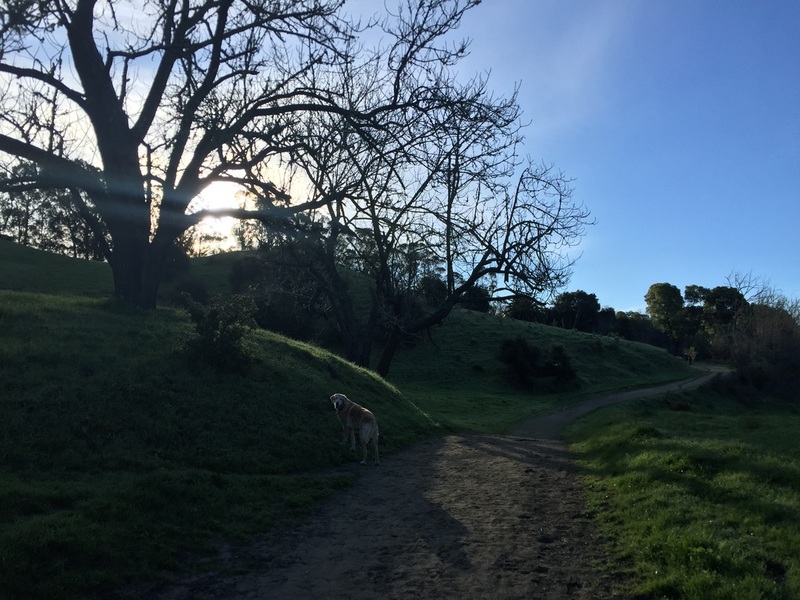 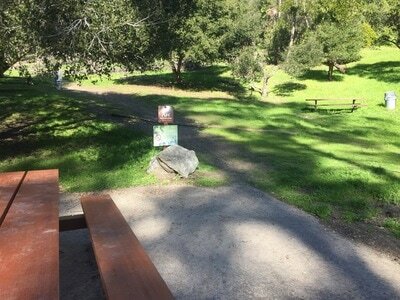 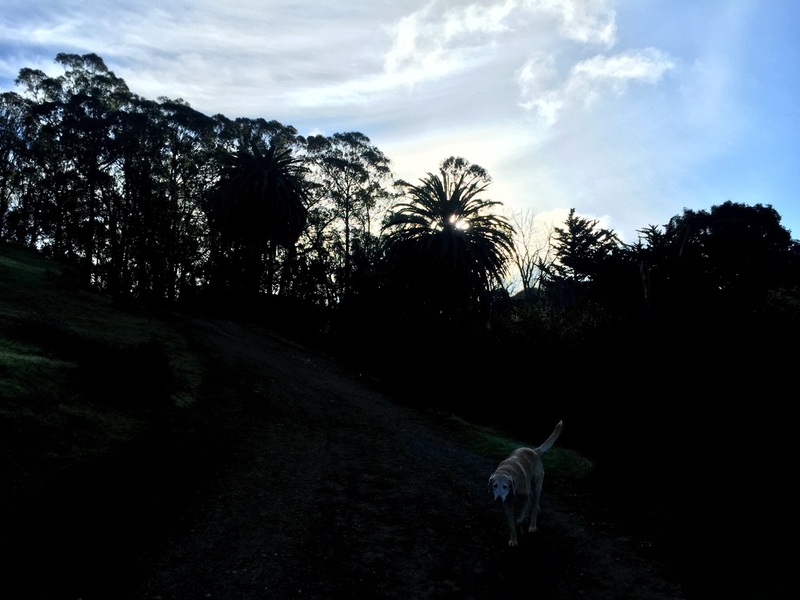 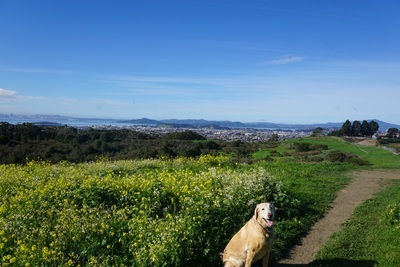 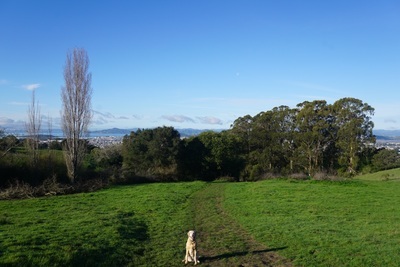 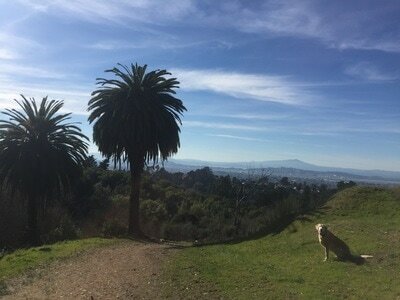 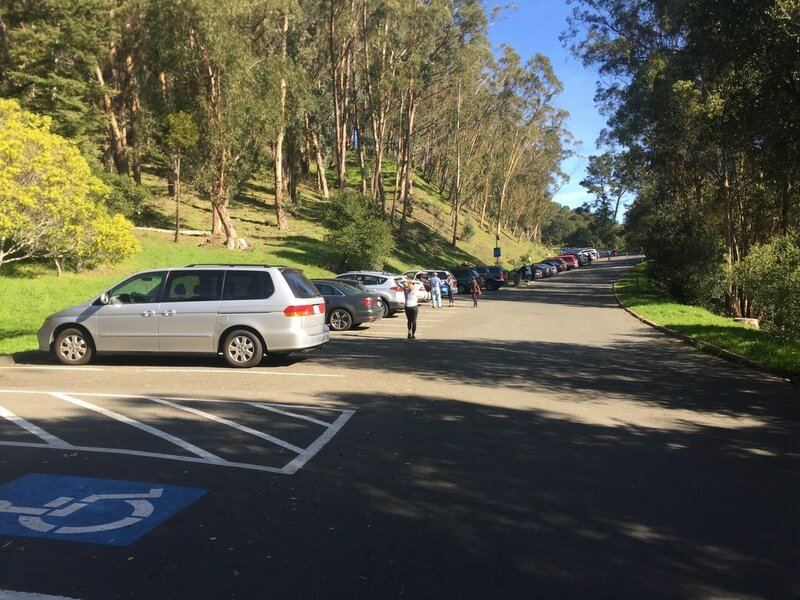 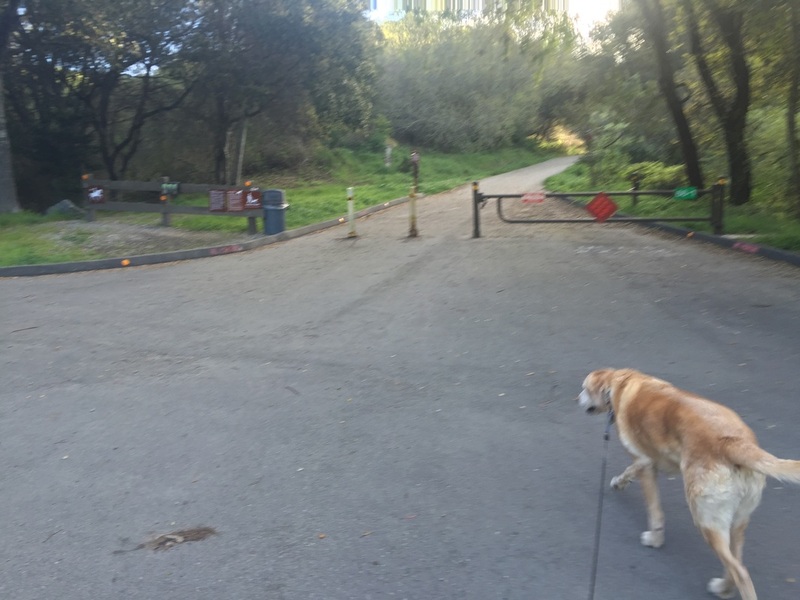 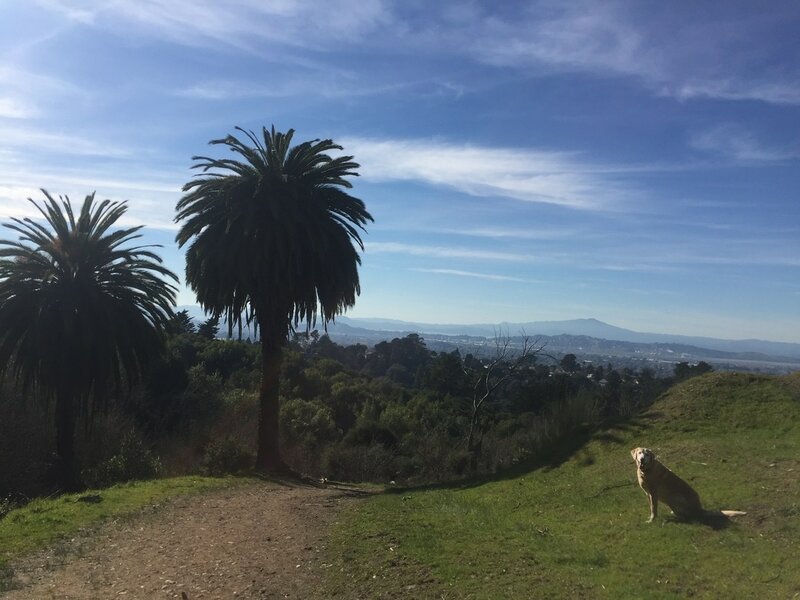 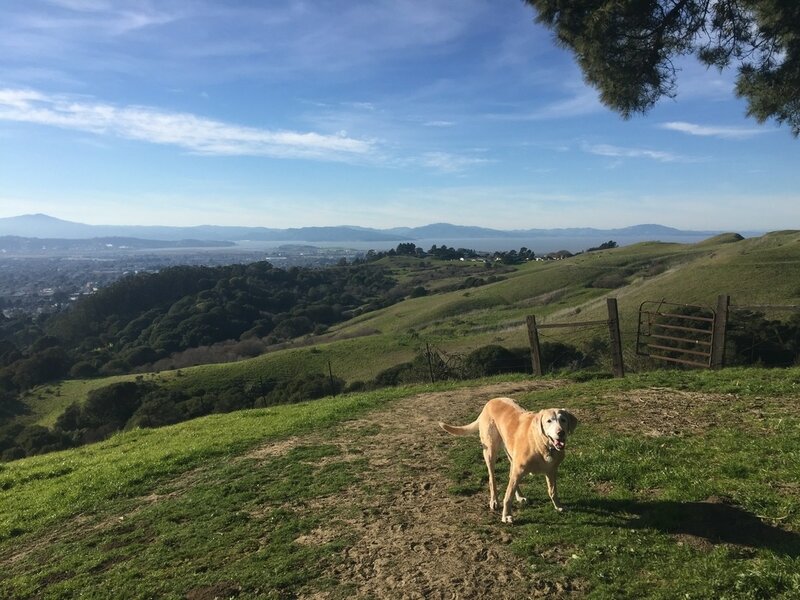 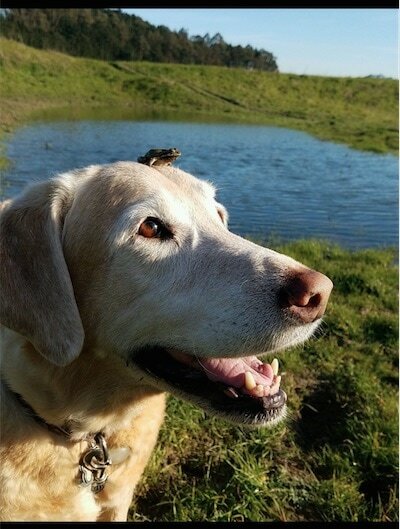 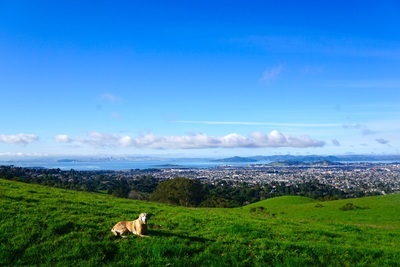 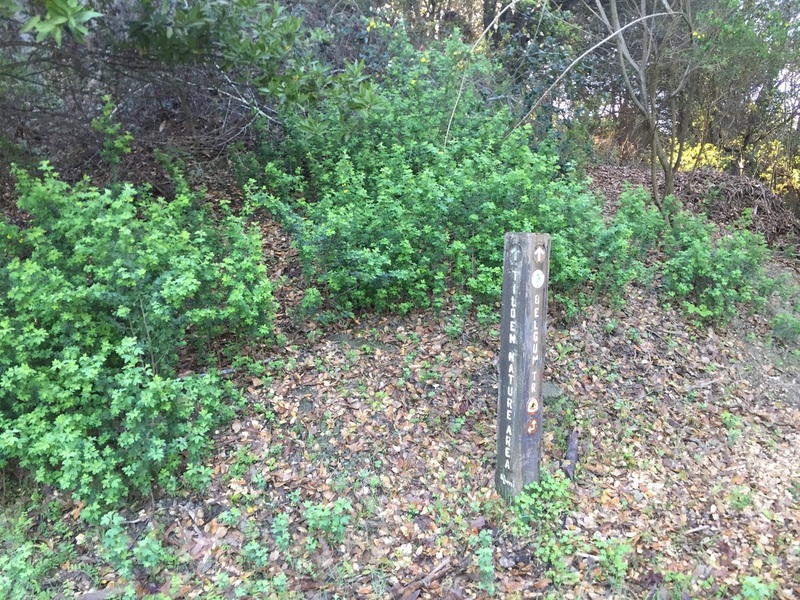 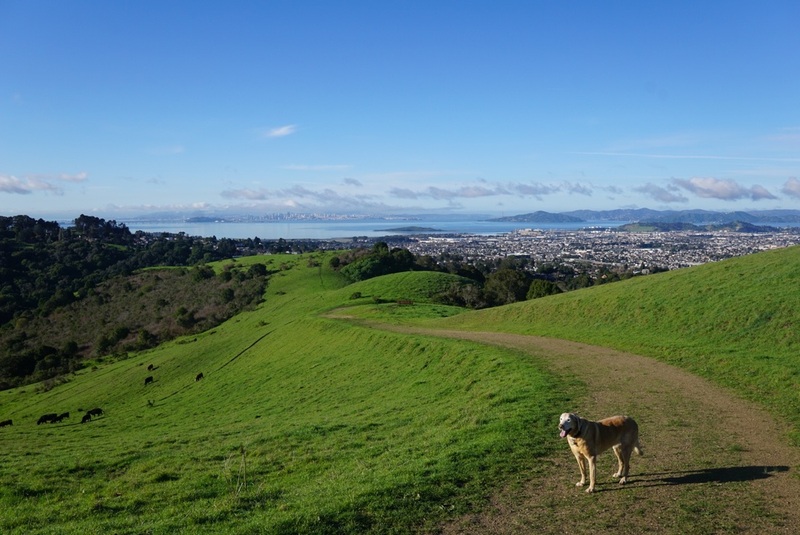 Dogs are not allowed in the Tilden nature area on the Berkeley side. 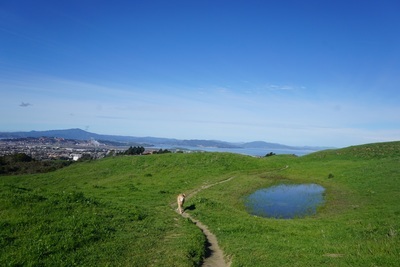 Best time to visit: Anytime if it's not a hot day. Most trails are fully exposed to sunlight. 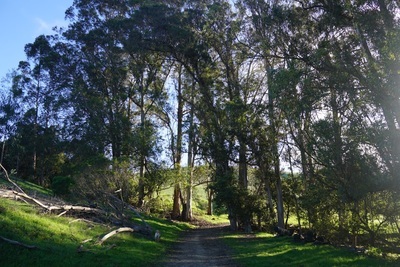 Description: This is a huge park- one of the largest in the East Bay- at 2,427 acres. It is larger than both Redwood Regional and Tilden Park. 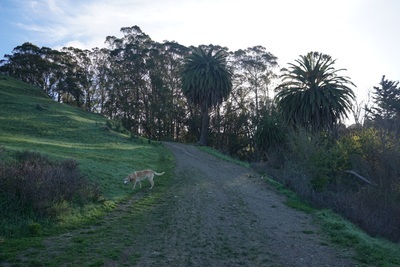 The park is also beautiful and stays green and lush year-round. 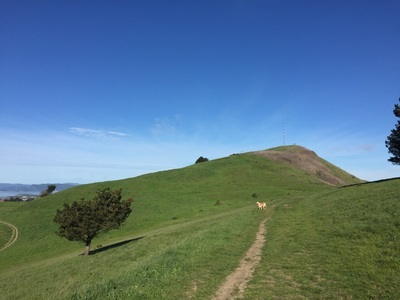 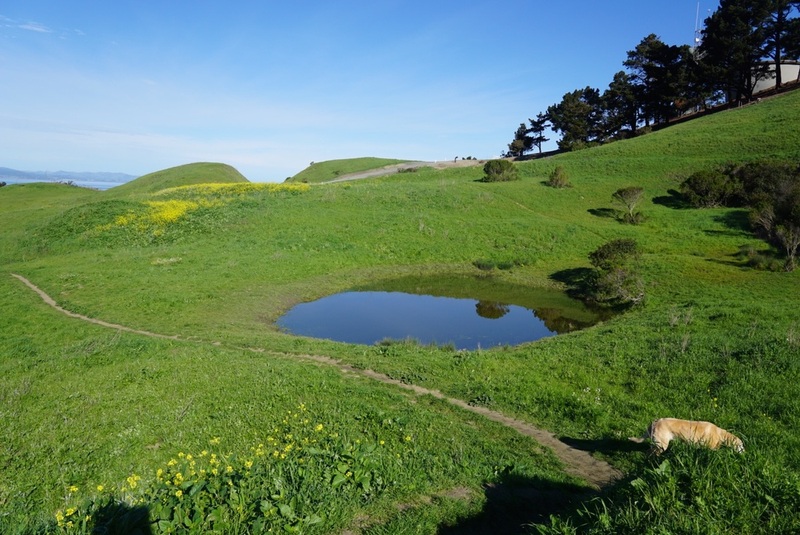 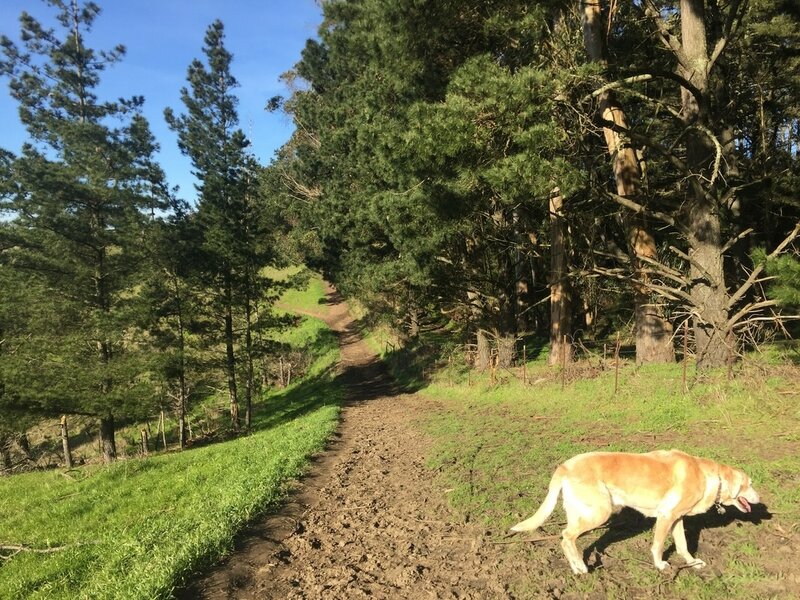 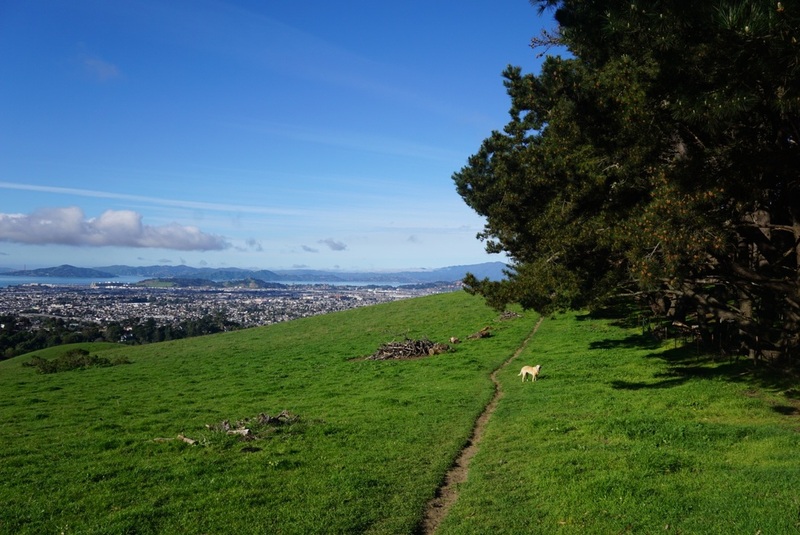 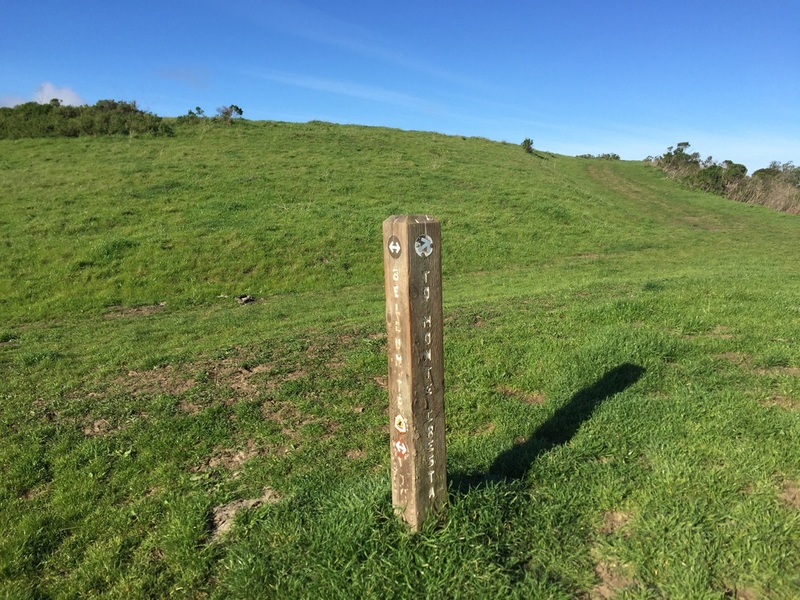 There are a lot of changes in scenery and you'll pass by abundant fields of wildflowers, oak trees, maples, madrones and even palm trees (on Belgum Trail). Most of the trails are up on the ridge, with vast views of the bay, but the trails can get hot so I recommend going early. 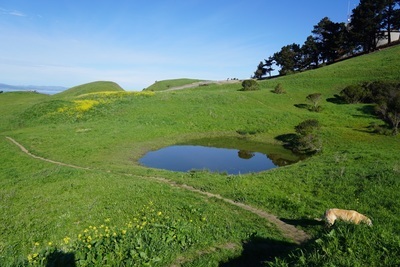 There are also a lot of ponds during the rainy season, and you may even see some frogs. 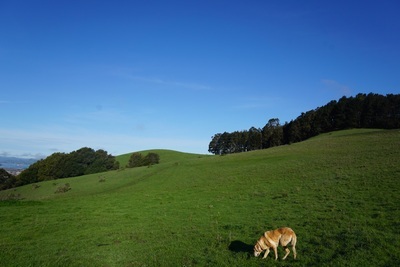 Cows roam free throughout a lot of the park, but during our visit they stayed at a distance and couldn't care less about us. 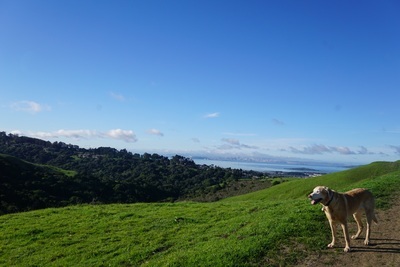 We've had run-ins with threatening cows at other East Bay parks, but they weren't an issue here. 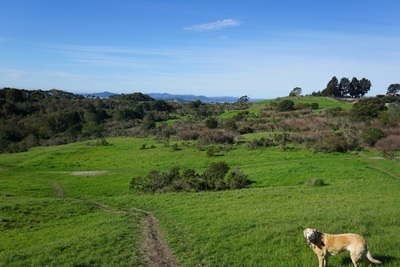 You can also find some trails without cows, just avoid going towards the ridges where there are cattle gates. For our hike we parked as far down as we could (away from the picnic area at the entrance), because many of the trailheads start at the end of the pavement. We still had to walk up the street a ways to the entry gate because cars are not allowed to park at the top. We took Wildcat Creek Trail a ways up the paved trail, then took Belgum Trail on the left to the Ridge Trail (Mccosker Trail), and back to where we started. 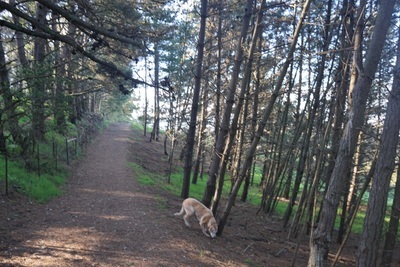 The trails are a little hard to follow after the Ridge Trail, because there are so many side trails on the hillside. 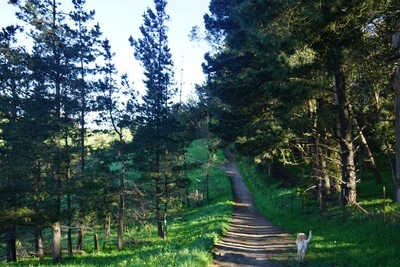 Once you reach the cattle gate at Monte Cresta Ave, just head down and to your left to circle back. You'll go through a cattle gate and end at the first trailhead nearest to the entrance on the original paved trail. 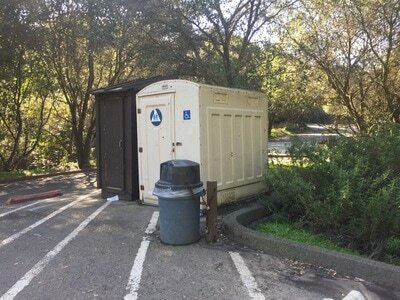 Porta potties are available at the entrance near the picnic area.